Life is a challenge. It´s up to you to take a choice. And to create the right focus. We need to stand up everytime we get down no matter how hard it gets. Busy business-days in Sweden next week! 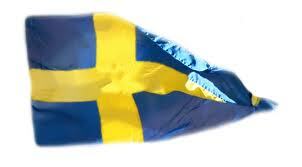 Next week I am traveling to Gothenburg, Sweden for a few days. And my days will be so busy with PT-clients, a testgroup with a new project I am testing in my company, business-meeting with a big company for another really fun project, and another meeting with trainingcompany for maybe a partnership. And one more meeting with Business in Heart in the morning at the same day I will travel back here to Portugal. This entry was posted in Uncategorized and tagged business, business in heart, busy, company, family, fitness, fun, gothenburg, happy, language, life, love, meeting, partner, partnership, personal training, portugal, project, pt, pt-clients, speak, sweden, swedish, training, travel, visio fitness, visiofitness, yasmin ohm by Easy Challenge. Bookmark the permalink.